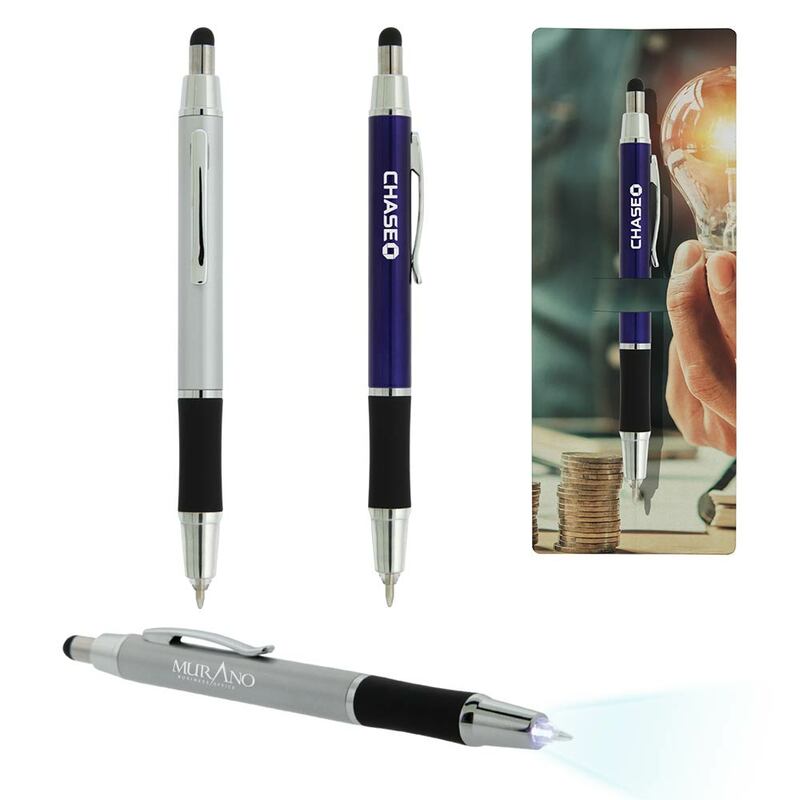 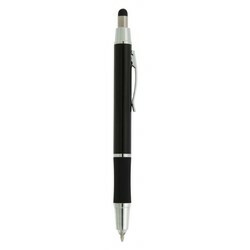 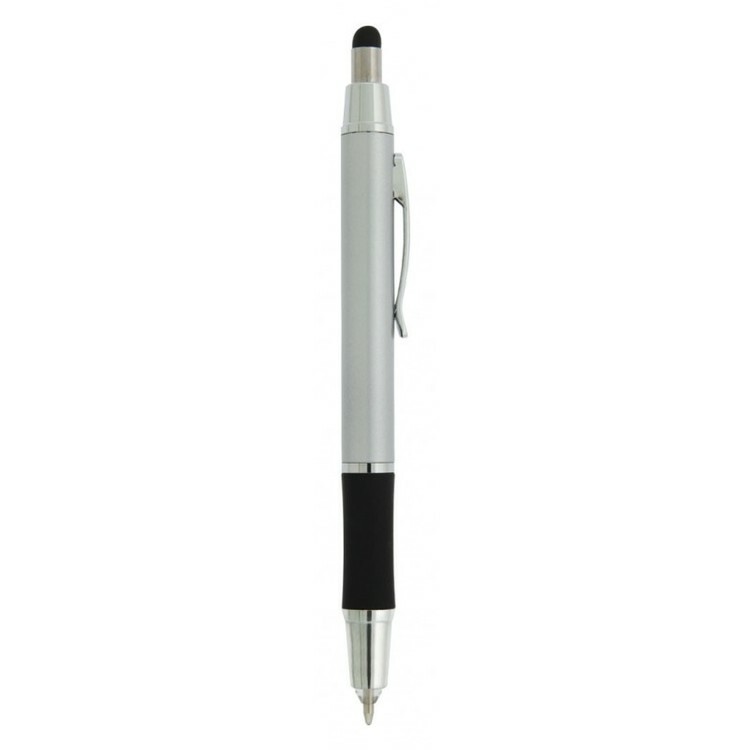 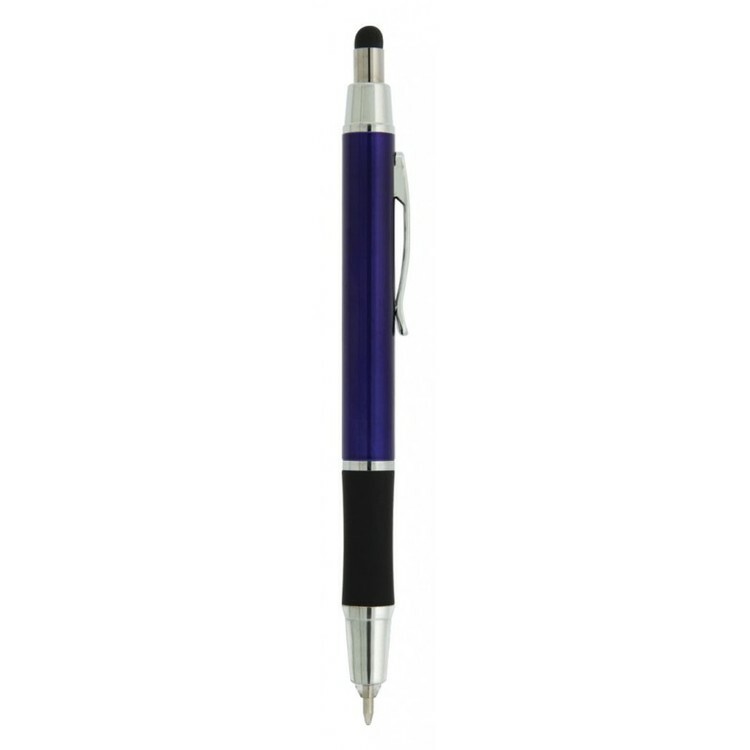 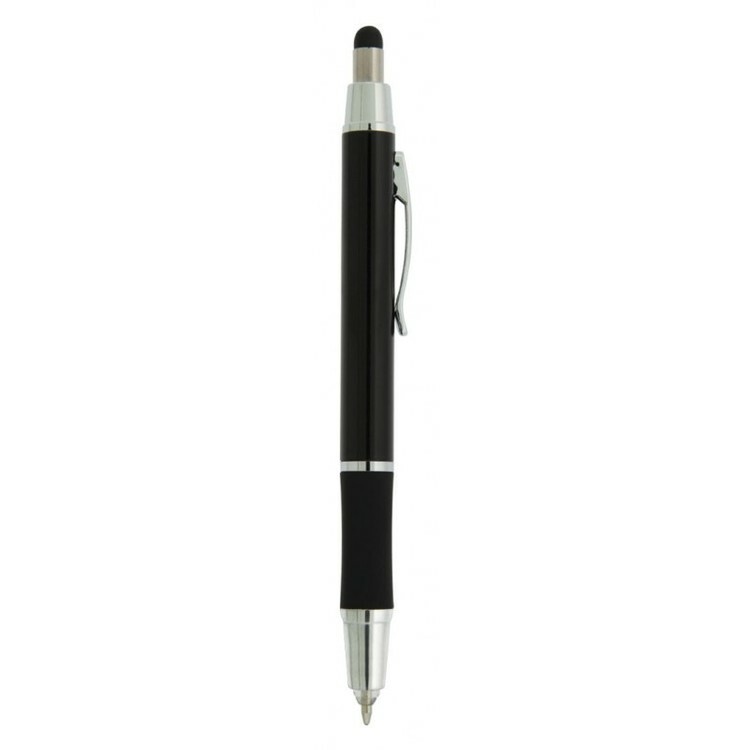 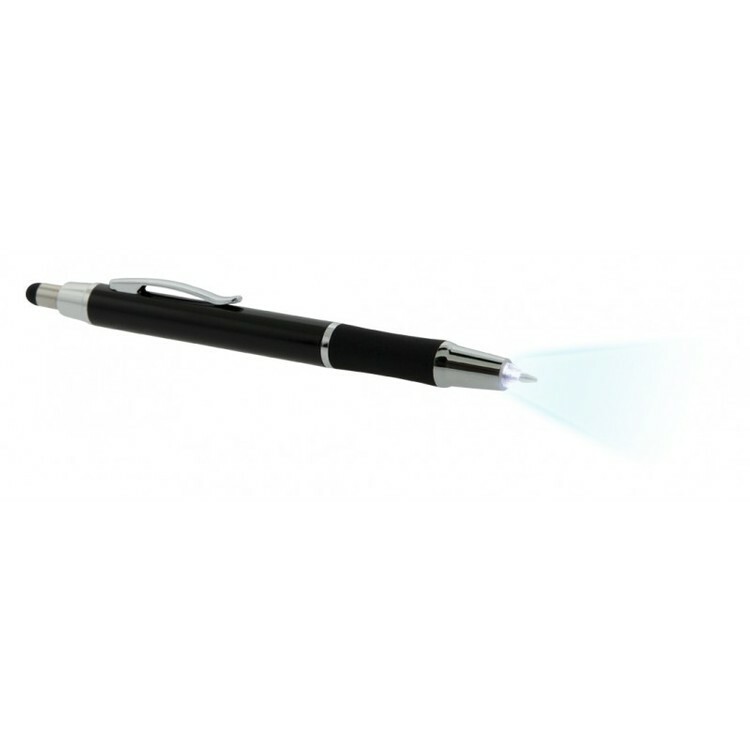 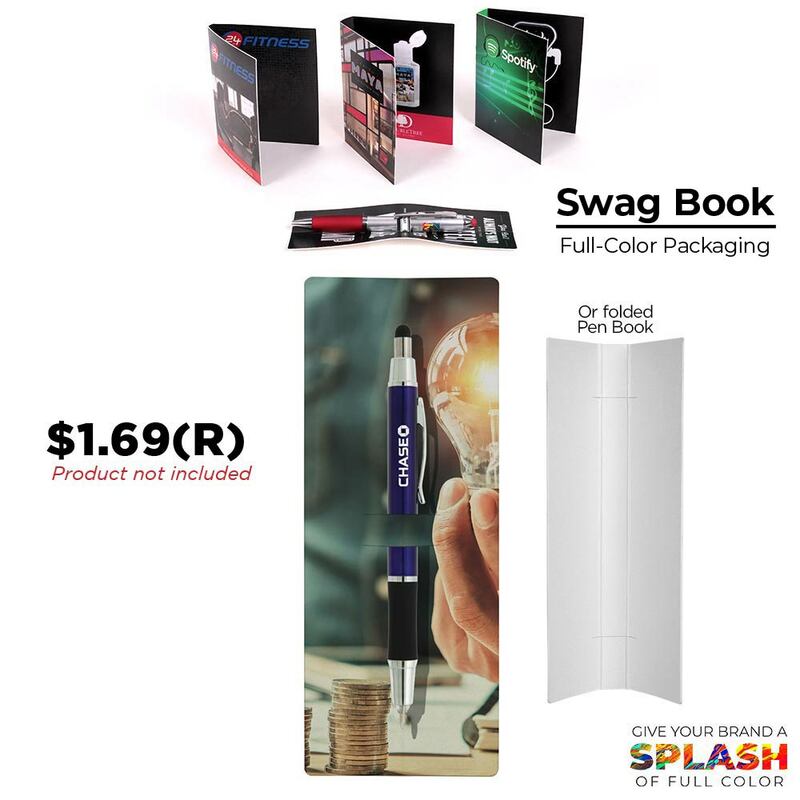 • Tri-purpose pen with soft stylus orb and LED flashlight. 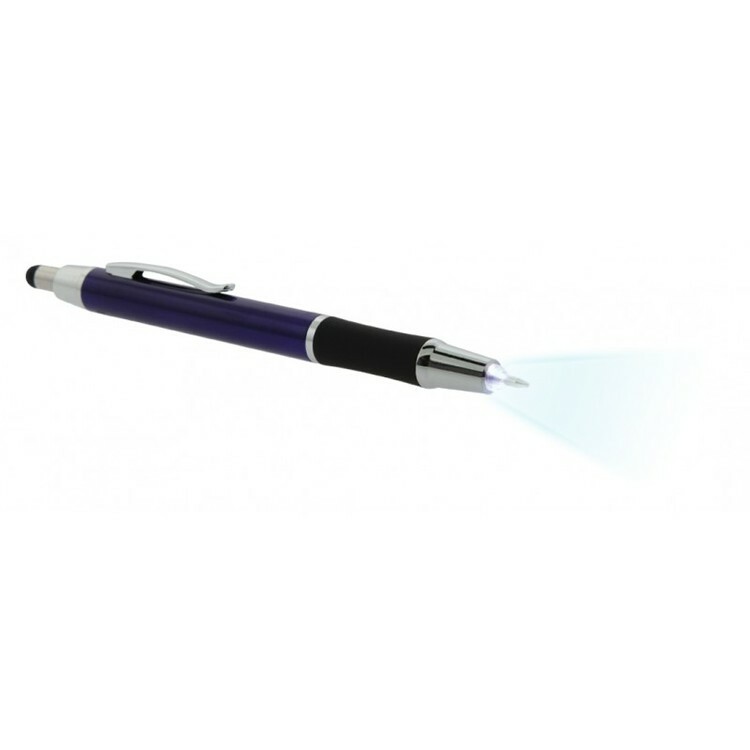 • Just click once for regular pen use; twice to prompt LED flashlight. One color one location imprint or laser engraving on one side only. Setup charge: $55(v) per laser engrave. Full color side imprint - No additional charge. Add personalization ($0.70(v) for up to 3 lines; $0.35(v) for each additional line). Add Laser Engraved personalization ($0.70(V) per pc for up to 2 lines; $0.35 (V) for each additional line).